When the selected data update cycle of the fundamental wave is shorter than the width of the analysis window determined by the fundamental frequency (cycle of the fundamental wave), measurement is not performed and no data is displayed. Change the currently selected data update rate to something longer. 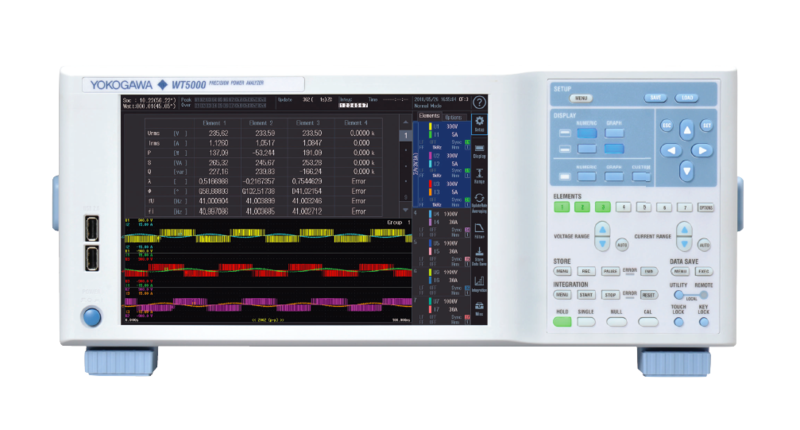 For harmonic measurement of a 50 Hz distorted wave signal, the fundamental frequency is 50 Hz and the width of the analysis window is ten waves, so the data measurement interval is 200 ms. Since (data measurement interval + data computation interval) = approximately 300 ms or more, select a data update rate of 500 ms or more.